Introducing the L750 ultra-compact portable LED projector. Easily transportable between your home and office, this tiny projector weights less than 0.4kg and comes with a convenient carry bag. Watch HD movies, play video games or even present that winning presentation, the ML750 has everything you need to impress your audience. Packed full of features the ML750 incorporates a media player, native office viewer and built-in speaker. Project without a laptop using the built-in memory, a microSD card slot, USB connection. Easily connect and display from a mobile or table device using MHL connectivity to play a game on a big screen, view business files, photos, videos or to just listen to music. 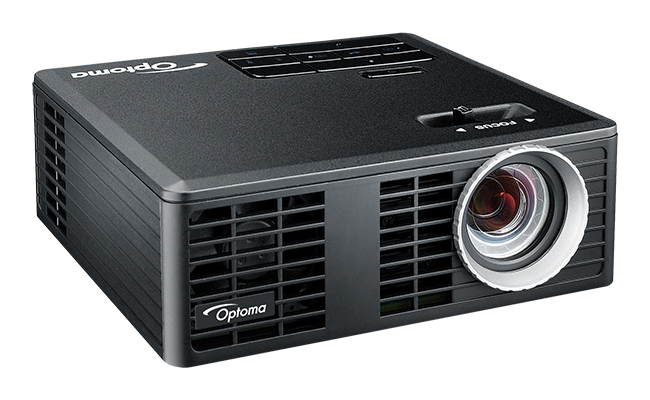 Using the latest “Lamp-free” technology for exceptional color fidelity, reliability and longevity, the Optoma LED ultra – compact portable projector is your perfect entertainment and business partner. PC Free presentations with built-in Office Viewer.